Windsurfing Lessons are usually held on Sunday mornings at 10.30 and some Wednesday evening (usually groups eg Scouts) or by arrangement. 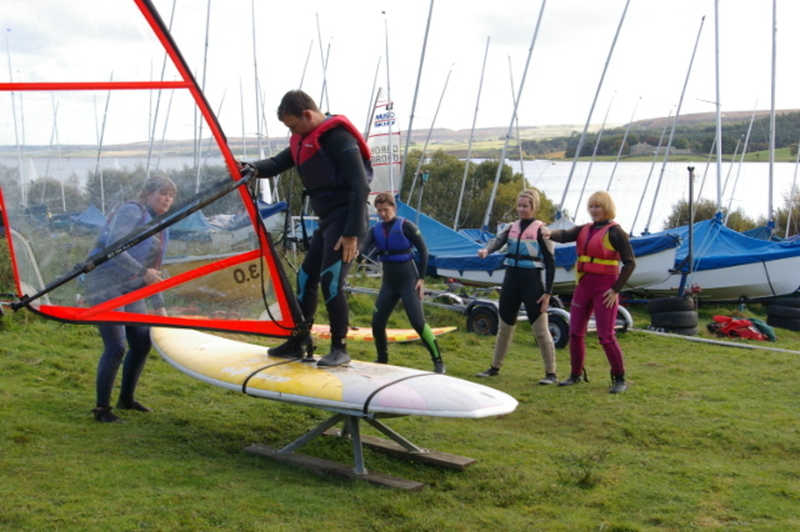 These are open to members and non-members of the sailing club and are run by Volunteer RYA qualified windsurfing instructors, in a friendly and professional manner. We are also introducing one day windsurfing courses to be arranged on specific dates. Why not book a windsurfing party – any age from 10 to 77?! We also can post out gift vouchers for that special birthday. Adults £30 Juniors (U19) £15 – 2 hour session including kit, clothing, safety cover and instruction. One day courses £60 per adult. Groups as above – size up to 6 for maximum benefit to each trainee. Larger groups can be accommodated with more than one instructor. If you wish to enquire about windsurfing, members and non-members can do so by getting in contact with Linda Coleby, by email - windsurfing@drsc.co.uk or by phone - 01325 252018.